The Phoenix and Scottsdale, AZ area is also known as the Valley of the Sun due to the warm temperatures and sunny days. 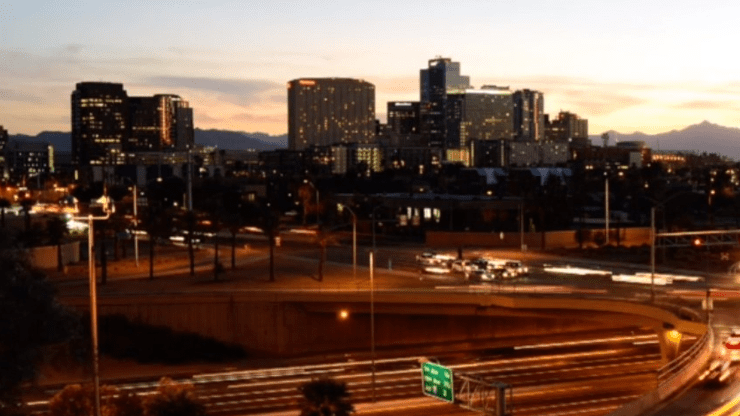 Approximately 1.8 million people call the area home and those seeking financial guidance will find several Phoenix wealth management firms to choose from. Whether you’re planning for an active retirement or have a child’s education funding to plan for, you have a much better chance of meeting your financial goals using a strategy put together by an expert financial advisor. But, where do you start? With so many options, how do you begin to narrow down the options for financial planning firms in Phoenix and Scottsdale? Not all of them handle the same clientele or specialties. Some are fee-based (accepting 3rd party commissions) and some are fee-only (no commissions). 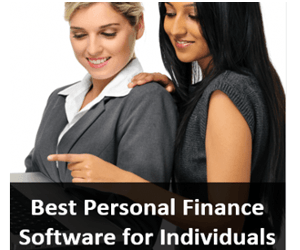 Sorting through the various options to find the perfect Phoenix financial advisor to trust with your money can be a time-consuming task. That’s why AdvisoryHQ works every day to make the search for a financial advisor easier for investors throughout the country. In this top ranking of the best wealth management firms and financial advisors in the Phoenix and Scottsdale, AZ area, we’ve gone through several firms to bring you the top twelve. These firms show a high quality of ethics, innovation, and client-centric philosophies, and we’ll break down what makes each stand out and try to make your search much easier. If you’re new to investing or wealth management, you might wonder if there really is a difference between a Phoenix financial advisor or Phoenix wealth management firm. While many firms do offer similar core services of portfolio preparation and financial guidance, there are also multiple distinguishing factors that can make one wealth management firm in Phoenix or Scottsdale a better match for you than another. Do you work with clients in my wealth bracket? Does your firm have a fiduciary obligation to act in the client’s best interest? Will I be working with a single advisor or a team of advisors? What is your track record with clients that have financial goals similar to my own? Do you offer additional services like tax planning or family office services? These questions are great starting points for identifying the best financial advisor in Phoenix and Scottsdale to meet your specific needs and goals. Below, please find the detailed review of each firm on our list of 2019 best wealth management firms in Phoenix and Scottsdale. We have highlighted some of the factors that allowed these financial advisors in the Phoenix area to score so high in our selection ranking. Founded in 2006, Alpha Fiduciary has a mission to understand the dynamics that influence each client’s life so they can provide the best financial advice and strategy for a successful path for accumulating, retaining, and transferring wealth. This Phoenix financial advisor has a strong commitment to putting their clients’ interests first and foremost, which is why they are fee-only and also a fiduciary. They do not accept any outside commissions from selling financial products. Alpha Fiduciary specializes in serving high-net-worth-clients and their years of experience handling the unique needs of the wealthy make them a great choice for individuals in that wealth category. This Phoenix and Scottsdale financial advisor believes that wealth management is about more than just creating a portfolio and that it should encompass a full spectrum of financial services. Relationship Management: Alpha Fiduciary takes the time to get to know you and your family and build a strong long-term relationship built on trust and friendship. Investment Consulting: This financial planner in Phoenix uses diversification strategies to help their clients manage risk. Their portfolios are based on each client’s unique situation, tax needs, and risk tolerance. Financial Planning: Alpha considers each client’s individual needs, desires, and challenges when crafting a successful financial plan. It’s committed to helping clients navigate the challenges of life and to achieve their financial goals. When it comes to estate planning, Alpha Fiduciary helps families and heirs prepare for the effects of wealth transfer successfully. This Phoenix wealth management firm believes that tax efficiency is just one facet to fruitful estate transfers. Family dynamics play a large role as well and this is why Alpha Fiduciary advisors make it a priority to get to know you and your family. As a result, ensuring that heirs are prepared to properly handle a transfer of wealth is a key component of Alpha Fiduciary’s estate planning services, giving them the best chance for positive, long-term, and successful management of their wealth. This holistic approach makes Alpha an attractive choice for families who may one day be faced with the complexities of estate transfer. Alpha Fiduciary is an ideal wealth management partner for wealthy individuals and families in and around the Phoenix & Scottsdale area. Their status as a fee-only firm with a fiduciary commitment further enhances their value to clients. With an unbiased and holistic approach, clients can feel firm in the knowledge that they’re working in their best interests always and providing expert advice based upon over a decade of experience. 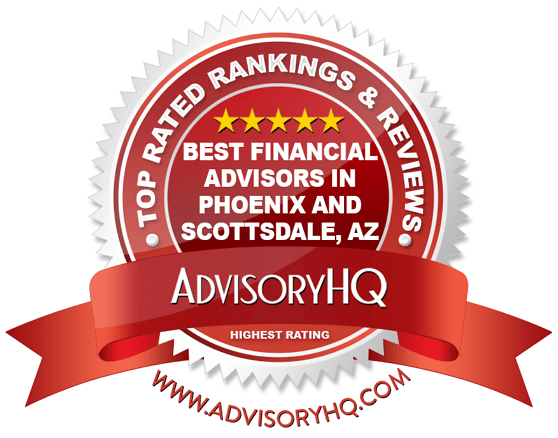 These factors along with their multiple financial advisory services score Alpha Fiduciary a 5-star rating as one of the best financial advisors in Phoenix to consider partnering with in 2019. Intelligent Capitalworks was founded in 2005 and has been a fee-only firm since inception. This wealth management firm in Scottsdale, AZ provides services for clients with assets starting at $1 million. The firm takes a personal approach with a team that is there for the long term for their clients. They are dedicated to creating successful financial strategies that are specific to each client’s needs. 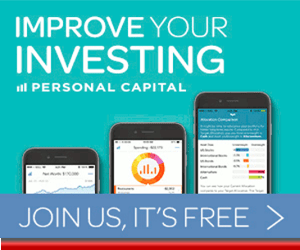 If you’re looking to be seen as an individual and not to just be given the same portfolio template as everyone else, then Intelligent Capitalworks’ mission will be of interest. Commit our creativity and leadership which includes a combination of critical thinking, professional education and certification, and experience, to collaborate with you. Create value for you by helping you create successful plans to meet your life goals and assisting with the development of wealth management strategies to support your plans. Dedicate our actions and resources to managing your finances each day, ensuring that goals are accomplished, and you stay on course. This top-rated Scottsdale financial planner provides comprehensive services that all work together to help their clients achieve success protecting and growing their wealth. 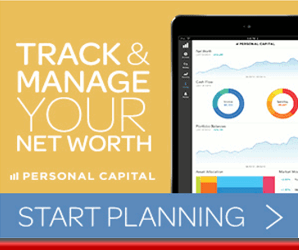 For high-net-worth clients that are looking for a personalized, dedicated Scottsdale financial advisor to guide them through a successful financial life, Intelligent Capitalworks is a perfect fit. With a client-centric approach, an emphasis on long-term strategies, and a dedication to providing unbiased and expert advice, Intelligent Capitalworks solidifies their 5-star rating and is one of the best Scottsdale financial planners to partner with this year. With a specialty in enriching cross-border lifestyles, KeatsConnelly assists Canadians and Americans with the unique financial requirements that come from living and working on both sides of the border. This wealth management firm in Phoenix is fee-only and a fiduciary, which means they do not accept any outside commissions or incentives for sales of financial products, and instead are dedicated completely to providing unbiased advice. KeatsConnelly has US offices in Phoenix, AZ and Boynton Beach, FL and Canadian offices in Calgary, AB and Regina, SK. KeatsConnelly is the largest cross-border wealth management firm in North America. This is a rare specialty among financial advisors in Phoenix (and the rest of the country). For families that enjoy a cross-border lifestyle, it would be difficult to find a more experienced firm to work with. They have over 25 years of experience dealing with the unique financial challenges that come with living and working in two different countries and help clients expertly navigate that terrain so they can enjoy life. Clients will also appreciate their Cross-Border Book Series, which includes multiple resources for both Canadians and Americans, and their social hub which includes a forum for clients to converse with others that also appreciate living in both countries. High-net-worth individuals often benefit from Family Office services to help manage complex family assets and day to day finances. KeatsConnelly provides this type of service through their private client services. Clients can rely on a personal touch and comprehensive strategy for managing their assets. This Phoenix wealth management firm provides multiple wealth management, financial planning, and cross-border services to private clients. With two offices in the United States and two in Canada, KeatsConnelly definitely has the resources and know-how to handle the multi-faceted landscape of cross-border living. They are a leader in this financial specialty, making them a standout among other financial advisors in Phoenix. Their extensive experience, a broad range of financial services, including Family Office services, and their dedication to serving the best interests of their clients make KeatsConnelly a 5-star firm and one of the best financial advisors in Phoenix and Scottsdale to consider working with this year. Started with the goal to help people gain a better understanding of their finances, LifeTyme Financial, LLC enjoys working with individuals, families, and small business owners to help them realize their financial dreams. This Phoenix wealth management firm serves clients in 12 states and Washington DC. The firm is a fee-based financial advisor in Phoenix but is included on our list for their fiduciary commitment and a broad range of services they provide. Asset Management: LifeTyme will create a diversified investment portfolio based on each client’s goals and risk tolerance. Life and Long-Term Care Insurance: These Phoenix financial advisors believe that an important part of financial planning is protecting what you have, and they offer multiple insurance products to protect you and your family. Retirement/Supplemental Programs: Whether the goal is to build a consistent income or to manage assets, LifeTyme can help clients reach them. 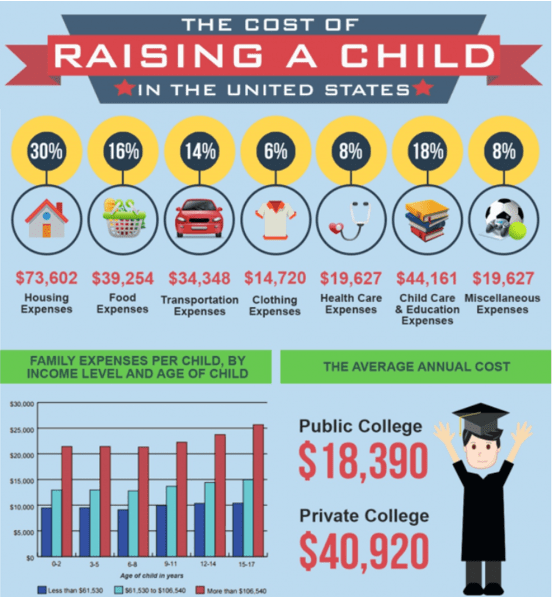 College Funding Plans: Clients can start saving as early as possible through 529 College Savings Plans and more. Elder Care Protection: These Phoenix financial advisors are well-versed in various elder care funding and insurance options to help family members get the quality care they need. Estate Planning Strategies: LifeTyme understands the importance of preserving assets during transfer and beyond through effective tax strategies. Tax Planning Strategies: Implementing smart tax strategies throughout the year is key to a successful financial plan, and these financial planners in Phoenix can either partner with an existing CPA or help clients locate the best tax professional for their needs. In addition to working with individuals and families, this Phoenix financial advisory firm offers a full range of corporate solutions, including executive compensation programs such as deferred compensation, executive bonuses, split dollar, Section 79, and fully insured 412(e)(3)s.
LifeTyme’s business expertise in addition to their individual financial planning services makes them a great option for business owners who would like to have all their financial management needs taken care of at a single location. LifeTyme Financial takes the time to build long-term relationships with their clients and offers them expertise built on over 40 years of combined experience helping clients achieve their lifestyle dreams through better investing. They also are fully committed to client empowerment through financial education and offer multiple educational resources on their website. Although they use a fee-based structure, their fiduciary commitment ensures that these Phoenix financial advisors will put the needs of their client first and foremost, earning LifeTyme Financial a 5-star rating as one of the top Phoenix wealth management firms to consider in 2019. Founded in 1991, MRA Associates provides customized advice and innovative wealth management, tax compliance, and consulting services to corporate retirement plans, endowments, foundations, sovereign nations, individuals, and families throughout the western U.S. This independent Phoenix financial advisor is a fee-only fiduciary firm and in addition to having an office in Phoenix, AZ, they have two others, in Las Vegas, NV, and Wayzata, MN. MRA’s defined wealth management process makes the interest of their clients the most important factor and ensures that financial decisions are both unbiased and completely customized. 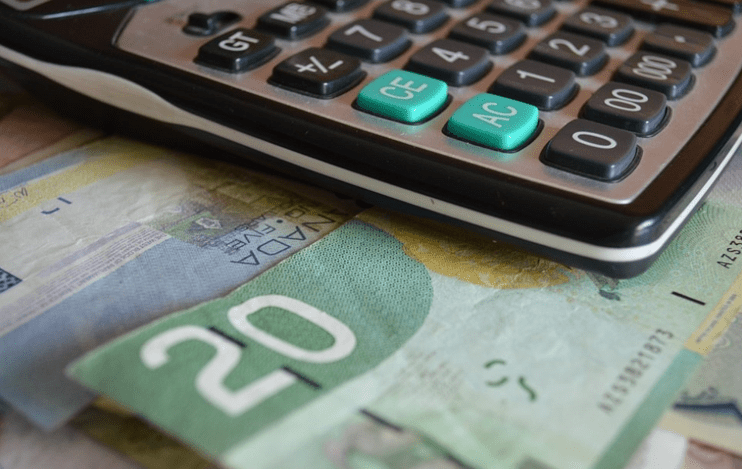 Their emphasis on continued communication is particularly notable, as it supports partnership and trust within the client-advisor relationship, offering clients the best chance at long-term success with Phoenix financial planning strategies. MRA understands that institutions need to carefully balance portfolio growth while monitoring risk. They serve the specialized needs of institutional clients by helping them achieve goals with innovative investment strategies. If you’re looking for innovative investment solutions that carefully balance risk with growth, MRA Associates has a dynamic team of professionals that work together to offer comprehensive Phoenix financial planning services. Not only do clients benefit from a wide range of capabilities, but they also can feel secure from an independent, fee-only structure, eliminating conflicts of interest and solidifying MRA Associates as one of the top-rated financial advisors in Phoenix who scores a 5-star rating. Perspective Financial Services is an independent, fee-only Registered Investment Advisor in Phoenix, that believes in building long-term relationships based on proven financial strategies and two-way communication. This Phoenix wealth management firm’s expertise and focus on research and strategy offers clients the guidance they need to achieve their financial goals even during uncertain economic times. This top-rated Phoenix wealth management firm takes a comprehensive and flexible approach to financial planning designed to meet ever-changing financial situations. Savvy firms, like Perspective, know that in this technological age, easy access to online services helps make their clients’ lives easier and give them more transparency into the financial planning process. 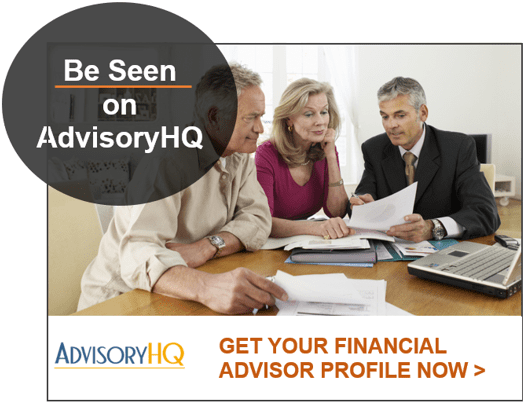 Perspective’s easy-to-use online portal gives clients an easy way to communicate with the team at this financial advisory firm in Phoenix, track their financial progress, and view investments and actions with a few clicks. The portal includes a secure document vault, portfolio reporting, and personal financial planning tools which provide convenient and on-the-go access allowing clients to stay in touch with their financial strategies and how they’re progressing. Perspective Financial Services combines a personalized and friendly approach with a modern, strategic financial planning style offering clients a truly customized experience. The firm’s focus on collaboration and individualized attention give clients significant advantages. These factors along with their unbiased, fee-only structure earn Perspective Financial Services a 5-star rating as one of the top financial advisors in Phoenix to consider partnering with in 2019. Founded in 1979, Ronald Blue Trust is one of the larger firms on our list of top financial advisors in Phoenix. The firm has 14 offices throughout the U.S. and serves clients in all 50 states. They are a fee-only wealth manager in Phoenix, Arizona and specialize in using biblical principals to provide faith-based financial advice and planning that reflect their client’s values while helping them achieve their financial goals. Rather than focus solely on how much money can be made, the philosophy behind Ronald Blue Trust’s financial management in Phoenix and around the country is to help their clients enrich their lives. For client’s looking for a faith-based approach to financial planning in Phoenix, Ronald Blue Trust offers a unique perspective on financial health, allowing clients to align their finances and their faith. The depth of experience in key areas of financial planning along with the multiple services offered make Ronald Blue Trust an excellent option for many different types of investors. With a unique, faith-based approach and commitment to serving accounts at all asset sizes, Ronald Blue Trust solidifies their 5-star rating and is one of the best financial planners in Phoenix to consider working with this year. Taking a friendly and uncomplicated approach to financial planning is Scottsdale financial advisor, Sensible Money. This fee-only firm believes in helping its clients live their lives fully without having to worry about their finances. Sensible Money welcomes multiple client types that include individuals, families, entrepreneurs, business owners, retired executives, and commercial clients such as CPAs, physicians, and auto dealers. This Scottsdale wealth management firm does an exceptional job at simplifying what is a complicated process for many. They take a step-by-step approach that informs and helps clients identify what matters most to them, focusing planning efforts on those priorities. Sensible Money’s financial planners clarify the difference between what you can control (i.e. 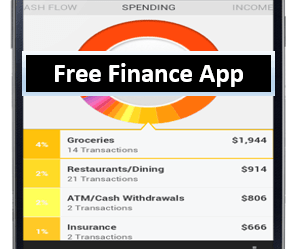 spending, tax management, investment risk, retirement date) and what you can’t control (i.e. longevity, market returns, inflation, the economy). The firm helps clients make strategic investment choices and proactive planning that can help grow and protect their money in spite of the factors that are outside an investor’s control. Juicing® is the term for Sensible Money’s proprietary financial planning offering. Which exemplifies a process that incorporates both your personal values and your financial strength. The pricing for the Juicing® Plan is straight-forward and transparent, with a $1,200 one-time deposit and balance due of $5,700 once the plan is complete. For clients with investable assets over $1 million, they offer their Juicing® Plus, which is an all-inclusive service that adds a full suite of financial offerings. This plan has no deposit and starts at an asset-based rate of 1.25% of the first $1 million. 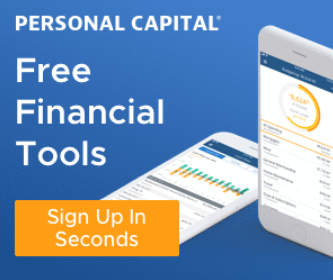 Sensible Money has one of the easiest to navigate website’s we’ve seen, which does a great job of exemplifying their simple, easy-to-understand approach to money management, making them a top Phoenix financial advisor for those new to investing. With a focus on client empowerment, a proven history of financial expertise, and a fee-only structure, Sensible Money earns a 5-star rating and is one of the best Scottsdale financial advisors to consider partnering with this year. TCI Wealth Advisors is one of the largest independent, registered investment advisory firms in the western U.S. They adhere to a fee-only structure with a strong commitment to providing clients with trusted, respectful, honest, and open communication. This top-rated Phoenix wealth management firm also makes a fiduciary commitment to put their client’s interests first and provide long-term financial planning that clients can count on for generations. A standout feature of the team at TCI Wealth Advisors is their strong dedication to becoming a 100-year firm, providing expert Scottsdale financial advisory services for current clients, their children, and their grandchildren. As part of this dedication, the firm offers younger professionals with access to expert financial planning to get them started off on the right foot through their ASPIRE program. Historically this group is often left out by other financial advisory firms in Phoenix and the U.S., due to having a lower level of investible assets. 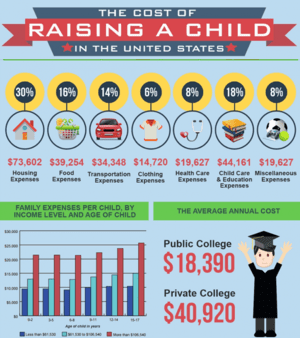 But TCI believes in helping everyone achieve financial success and feels their services are especially important to those just starting their professional lives. Whether you’re planning for retirement, a child’s education funding, or in need of some tax assistance, as one of the best Scottsdale financial planners, TCI offers a wide range of financial planning services to address a variety of financial needs. TCI Wealth Advisors offers clients in Scottsdale and Phoenix unbiased financial guidance that is designed to work with your lifestyle and goals to help you reach your financial priorities in life. Their program for young professionals illustrates a clear commitment an inclusive, client-centric focus. All these factors and their fee-only commitment make TCI Wealth Advisors one of the best Scottsdale financial advisors to consider partnering with this year and earns them a 5-star rating. Versant Capital Management, Inc. is a Phoenix financial advisor that believes in the power of positive action and that has best practices ingrained in their DNA. The firm is an independent, fee-only investment and wealth management firm. The name “Versant” comes from the word for “experienced” or “practiced,” highlighting the firm’s primary mission: to act as skilled, well-versed, and highly knowledgeable financial and wealth advisory partners to their clients in Phoenix and the surrounding area. A core tenant of Versant Capital is to build long-term, multi-generational relationships with its clients. Company professionals will engage, educate, and work side-by-side with clients, their children, and grandchildren to ensure the entire family is involved throughout the advisory process. Unlike many other firms offering wealth management in Phoenix, Versant Capital clients have direct access to the firm’s Chief Investment Officer, who oversees the managing of client portfolios. This allows them to get the insight they need into their portfolio and financial strategies. This Phoenix financial advisory firm’s services are uniquely fine-tuned to meet the needs of high-income individuals along with their long-term family financial goals. This makes Versant an excellent choice for high-net-worth individuals looking for trusted financial guidance. With a commitment to transparency and a fee-only pricing structure, clients can count on building a relationship on a foundation of trust. Versant shines with a 5-star rating and is one of the top financial advisors in Phoenix to consider partnering with in 2019. Silverhawk Wealth Management is a top-rated financial advisor in Scottsdale, AZ, with additional offices in Denver, Irvine, Memphis, and Seattle. They have over 40 years of experience serving high-net-worth individuals, closely held corporations, physicians, tax attorneys, and CPAs. We cannot confirm whether Silverhawk works with a fee-only or fee-based structure, though the firm is likely fee-based due to potential commissions from insurance sales or third-party money managers. We always suggest that you verify a firm’s fee structure before entering into wealth management or financial planning relationship. While high-net-worth clients enjoy the lifestyle that comes with wealth, they also have finances that are more complicated to manage effectively. That’s why Silverhawk Wealth Management has developed the proprietary Praetego System℠ to proactively identify and counteract potential financial issues before they become a problem. This specialized division of asset protection planning is designed to help clients avoid lawsuits, unfair judgments, or unfair claims of liability that may be sparked by increasing wealth. The Praetgeo System℠ provides high-net-worth clients with the tools to protect and defend their assets through available legal options, existing financial vehicles, and common business structures. A standout service of Silverhawk is their ability to assist clients with the financial challenges of luxury real estate. This top-rated Scottsdale financial advisory firm is experienced in dealing with traditional sales, creative financing strategies, short sales, strategic defaults, and a variety of real estate needs. Clients who have more extensive real estate needs or who have a variety of assets connected to property can benefit from this Scottsdale financial advisory firm’s multi-faceted expertise that ties into their other wealth management services. Silverhawk Wealth Management offers a distinct set of financial management services that provide exceptional value for high-net-worth clients. When working with this Scottsdale wealth manager clients also benefit from the firm’s extensive expertise in the financial industry. While the firm provides unique value for their clients in a number of ways, we’ve rated them with 3-stars due to the inability to concretely confirm their fee structure, which may make it difficult for potential clients to fully evaluate the firm. By addressing this concern and clearly stating the firm’s fee structure, Silverhawk Wealth Management could easily improve both their rating and their value proposition to potential clients in the future. Founded in 1996, WealthTrust Arizona is a boutique financial advisor with offices in Scottsdale and Chandler, AZ. 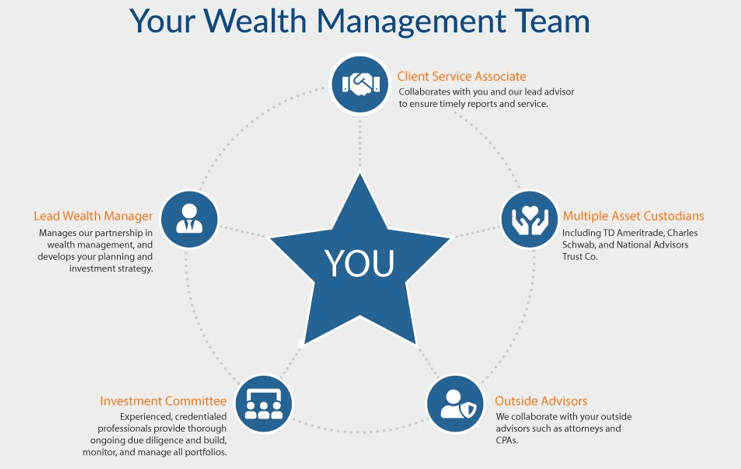 They take a holistic approach to wealth management, carefully integrating multiple areas of your financial life into a successful strategy. They are a fee-based wealth management firm, however, they also uphold a fiduciary standard to give clients unbiased advice always and to put their clients’ interests first and foremost in everything they do. In keeping with their holistic approach, these top financial advisors in Scottsdale/Phoenix offer a full range of services which all touch on different facets of money management that many people need at some point in their lives. Estate Planning: Your Scottsdale financial advisor works in partnership with your estate planning attorney to protect your financial legacy. Financial Planning: They create a customized financial plan with the clear steps needed to achieve your financial goals. Long-Term Care: WealthTrust Arizona advisors work with families and individuals to create personalized strategies associated with long-term care needs. Portfolio Management: Investment options are carefully screened for low cost and high quality. They utilize a diverse range of strategies to create a resilient portfolio. Retirement Planning: These financial advisors in Scottsdale work to preserve and grow your wealth so you don’t outlive your money and can retire comfortably. Risk Management: Get help preparing for unforeseen circumstances so that you can minimize the negative impact and protect your wealth. Taxation: The firm uses a methodical approach to help you minimize tax burden without compromising portfolio performance. Clients working with WealthTrust Arizona will benefit from their philosophy that managing risk is just as important as seeking returns. They look for investment products that are low cost and high quality to maximize their clients’ portfolio success. This top wealth management firm in Scottsdale, AZ takes a disciplined approach to the investment process, tailoring portfolio choices to each client’s needs and risk tolerance. They also use a smart combination of both real-world experience and technology to determine the optimal investments for each client. With a straight-forward approach that puts as much emphasis on lowering risk as it does on increasing returns, WealthTrust Arizona offers a solid option for those that are looking for a holistic approach to financial planning that takes risk into consideration. 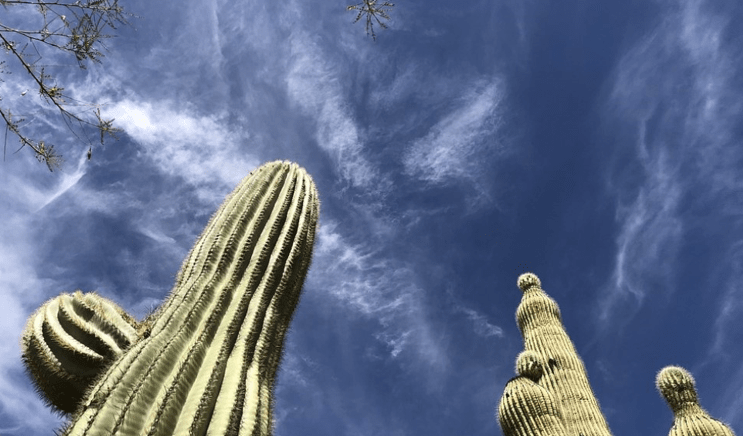 The top-rated firm has a lot to offer investors in the Phoenix and Scottsdale area, including experience and a wide array of financial services. We’ve scored them with 3-stars, however, due to the limited detail on each service they provide, which could make it difficult for potential clients to fully evaluate them. With more detailed information on their services, we feel WealthTrust Arizona could easily score higher in the future. Now that you have a jump start on your search for the perfect financial advisor in Phoenix and Scottsdale, Arizona, there are a few more steps you can take to ensure you find the best firm for your needs. It’s a good idea to narrow your options down to three or four firms that you’d like to meet in person in order to get a feel for their advisors and whether they are a good fit for you and your family. You’ll find many offer complimentary consultations which will give you the chance to get to know them better and then ultimately choose the one that you feel will best guide you on your financial journey through life.